First up, the cake. I always try to give my kiddos a really special cake for their birthday. I’ve done a Rapunzel tower, a construction zone and a six layer rainbow cake. I love creating exactly what my kids want! It’s usually a blast. This cake had me on the verge of throwing things. Specifically, throwing red food coloring. Stupid red Lego. It’s not a hard cake to make if you avoid red at all costs. It’s just so hard to get it the “right” red. Yellow is the way to go. I started with my favorite cake recipe. It is the best “doctored” cake mix ever. It is incredibly versatile, suitable for all occasions, themes and tastes. I use it at every single birthday and absolutely love it. This cake is sturdy enough to stack a few high, but also has a light texture and deliciously rich taste. I baked two 9×13 cakes, then cut each one to make the three shapes like so. I trimmed off part the 2×2 to make a square(ish) shape and a little off the 1×2 as well. 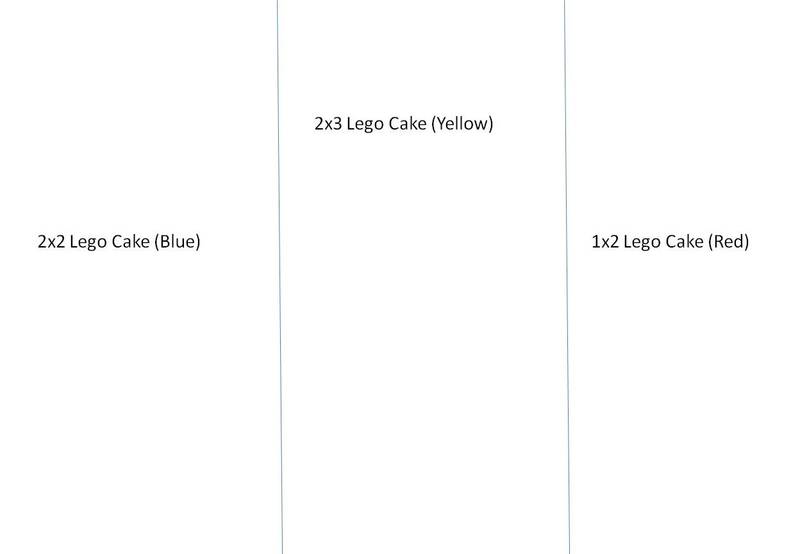 Stack the same shapes from each 9×13 to make a tall Lego. Dirty frost them with a crumb coat, chill 30 minutes and then put a second layer of frosting in various colors (don’t do red!). Unless you enjoy torture. 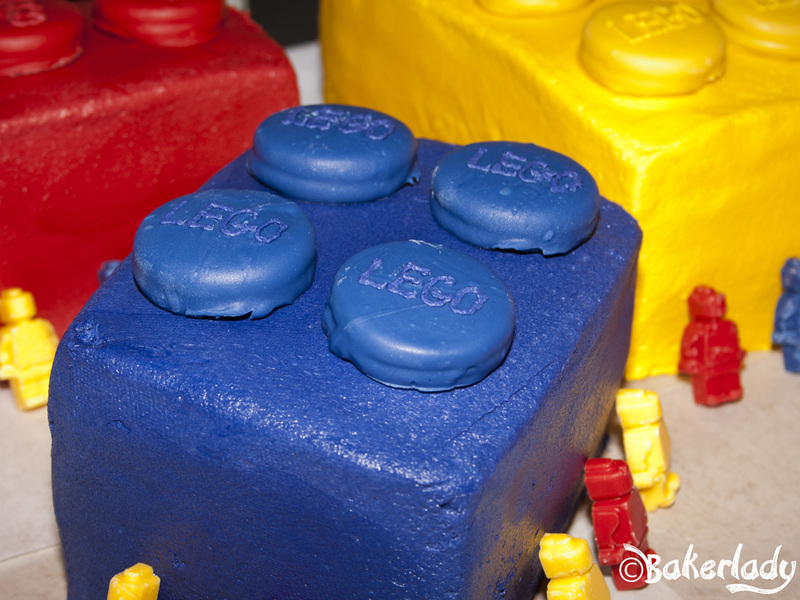 The Lego “buttons” on top are Oreos dipped in candy melts. 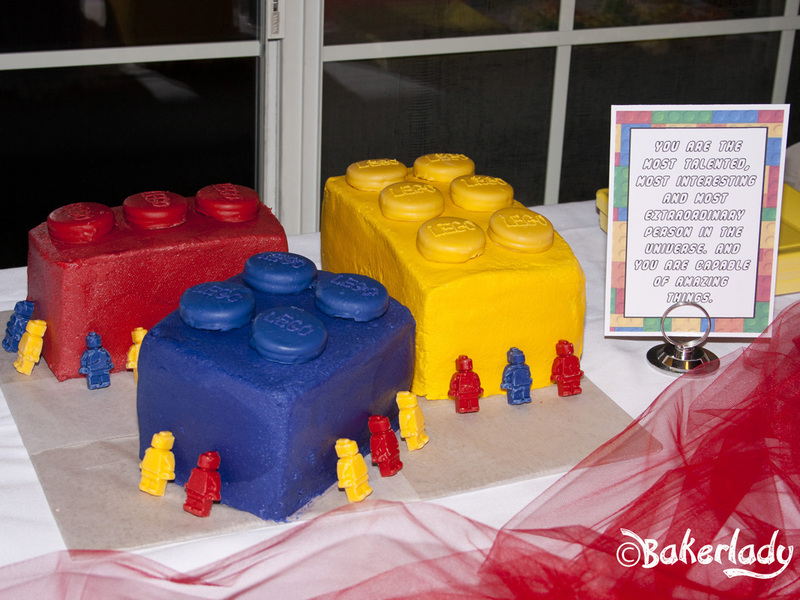 Then I “drew” LEGO on top with some of the frosting. Below are links to the cake and frosting recipes I use. The frosting gets so smooth by rubbing it with paper towel after it’s set slightly. I know. It sounds odd, but I promise it works. Every party needs some games. The tricky part of games is to engage both kids and adults. Typically, kids parties are not so fun for grown-ups. Particularly folks who are family, but don’t have little kids themselves. I did two games that were fantastic for the very young (age 3) all the way up to my 87 year-old Nanny. First was “I Spy Lego Guy”. I hid little paper Lego men (Lego Origami from Zakka Life) around the house. Like so. Some easy(ish) for the kids. Some a little harder for the adults. 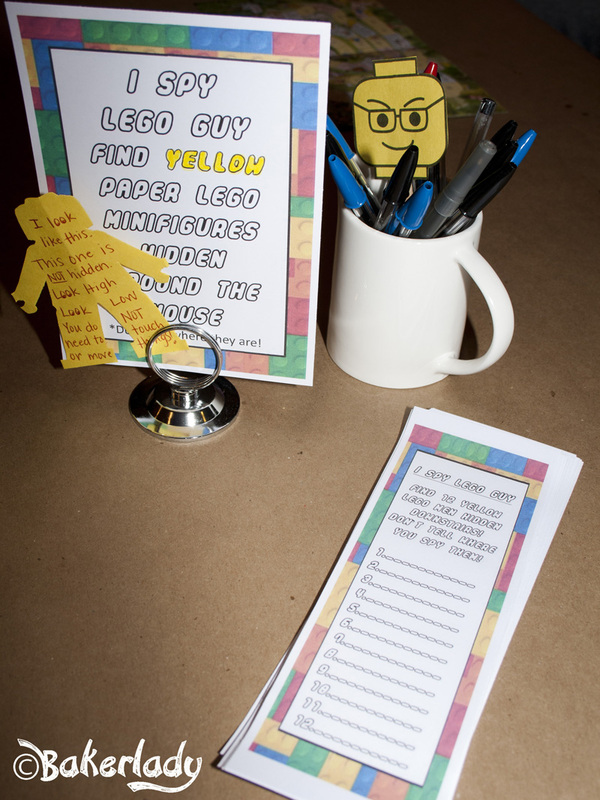 I printed out some instructions (included in the printables from me at the bottom of this post) and let everyone start searching when they arrived for the party. Here’s the genius of this game. All your guests are immediately engaged in the party. Normally, folks arrive and congregate in my kitchen with me, but since I didn’t hide any Lego men in the kitchen, I was free to finish up the food prep/cooking while everyone played the game. Genius! I wish I had some pictures of every party guest intently searching for these little guys. It was awesome. Our second game was also a hit for young and old. I called it Bucket Build. 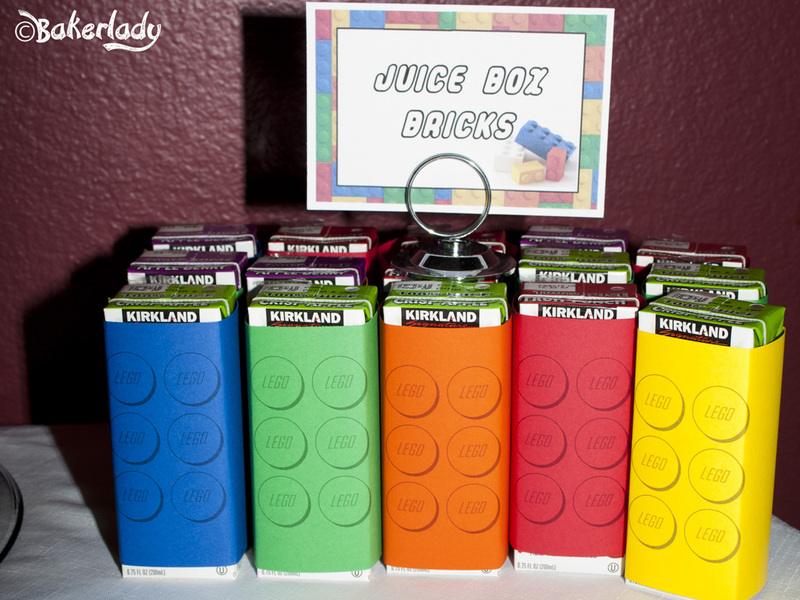 Before the party, place identical Lego pieces in two separate buckets. I put a small base plate, a few regular bricks and lots of fun/interesting pieces. Think door jamb, window pieces, wheels etc. Then you’ll need some kind of timer. The goal of the game is to race another person to build the tallest structure in a minute. My kids tested this game before the party. That’s when the game changed from “Build a Bag” to “Bucket Build”. The bags just didn’t work. They played it repeatedly for almost an hour. There was a running challenge through the entire party with just about everyone young and old participating at one time or another. Huge hit. 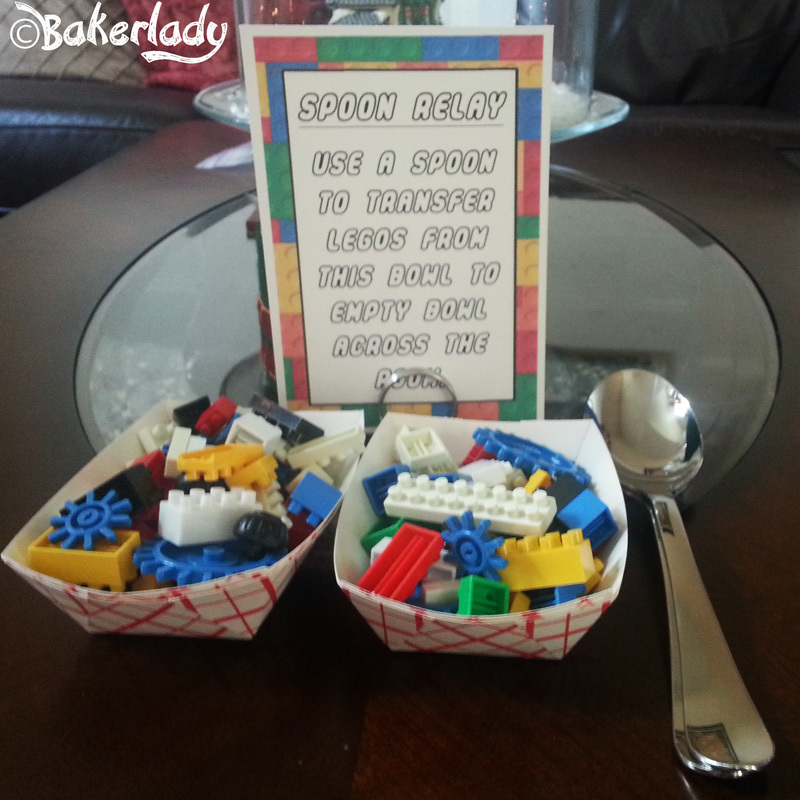 Another game I had ready, but didn’t end up really using was a Spoon Relay. Everyone was enjoying the other two games, so this one just kind of sat on the table. But, if you had a big group with tons of kids, it would be really fun. Especially if you are lucky enough to have a summer birthday when you can be outside. 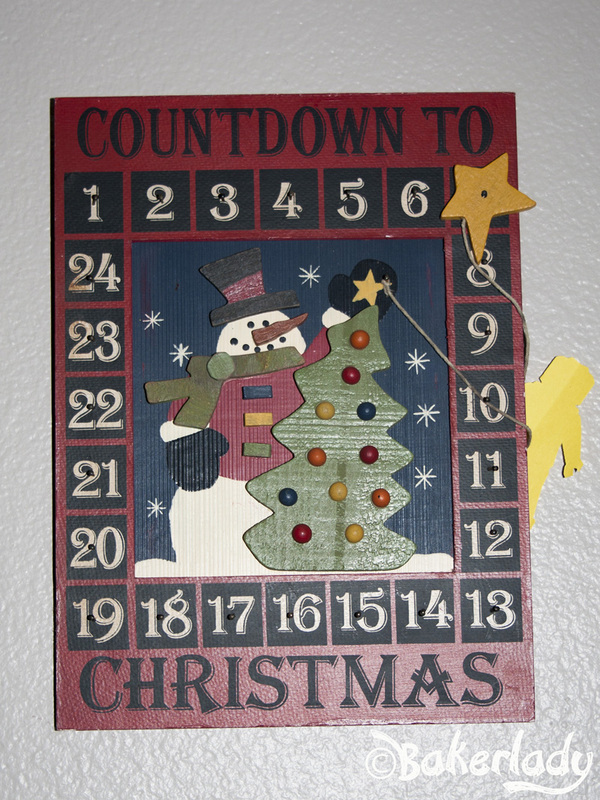 Now for some miscellaneous decorating ideas. 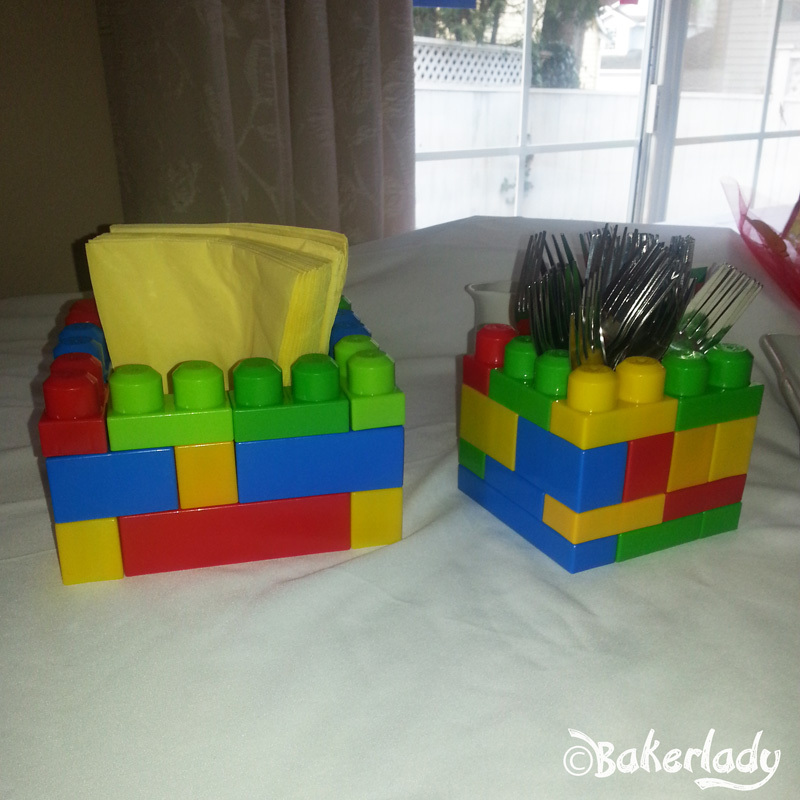 Use big Duplo blocks to make holders for napkins, silverware and plates. Cute and easy. Dollar Store finds are just the best. 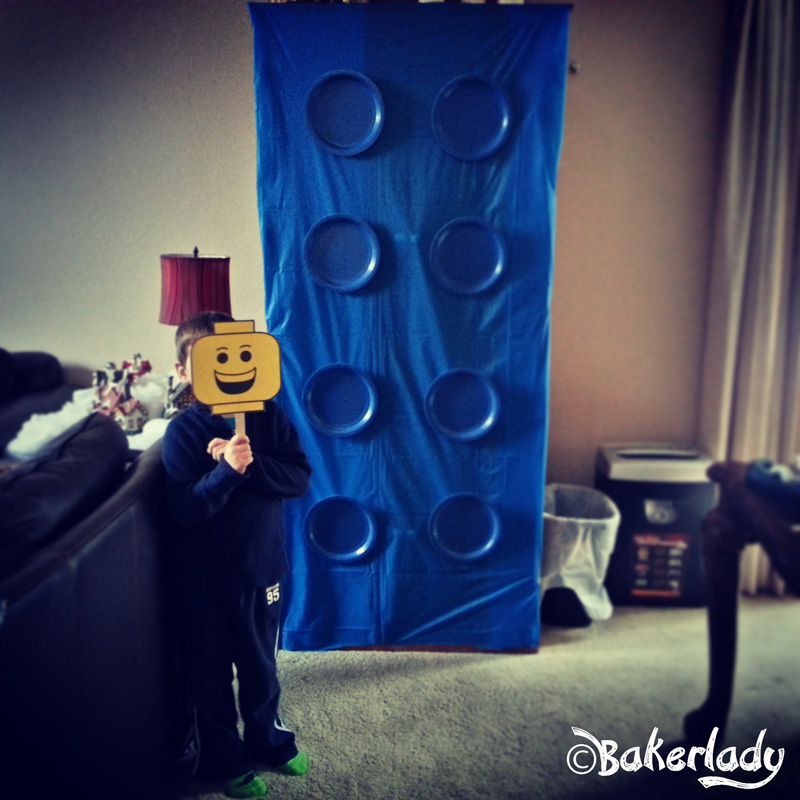 Plastic tablecloth + colored plates = giant Lego. 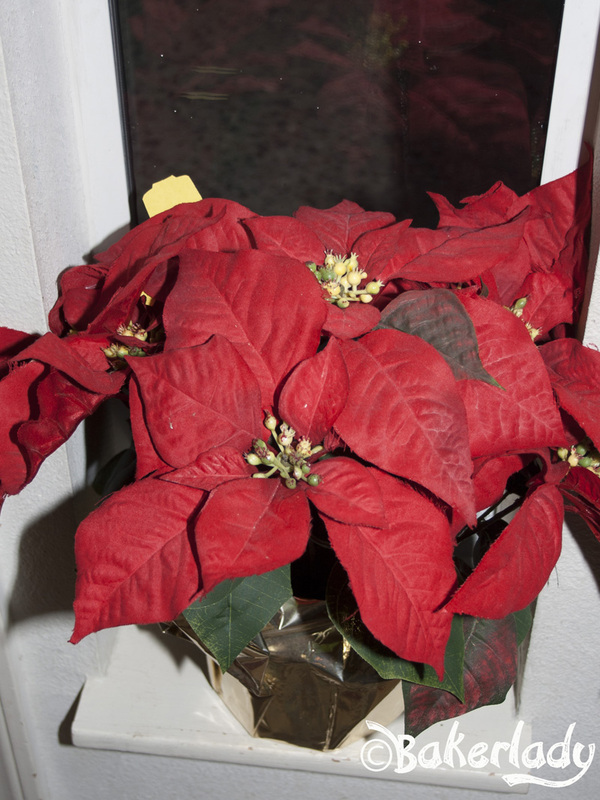 We had a couple of these around the house. You can make them on a wall, door, or like shown here, over a computer hutch. Awesome. More on the Lego mask a little later. Another Dollar Store find. Bubble wrap. Painted green. It looks just like a Lego baseplate. I planned to use it as a table runner, but after airing out for three days, it still filled my house with paint fumes. So, I printed some giant letters (using LegoThick font) on yellow and red paper. 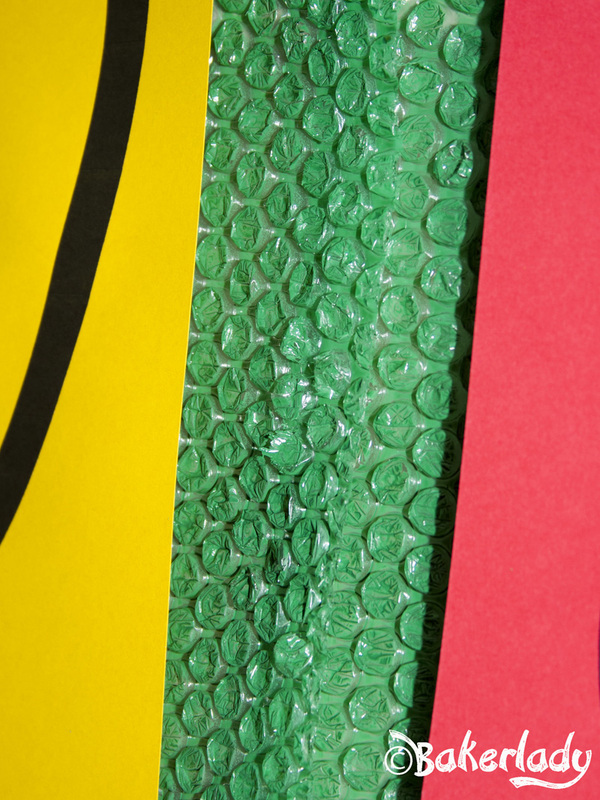 Then put each letter on a square of the bubble wrap and created a giant banner at the front door. Close up. The bubble wrap is genius. 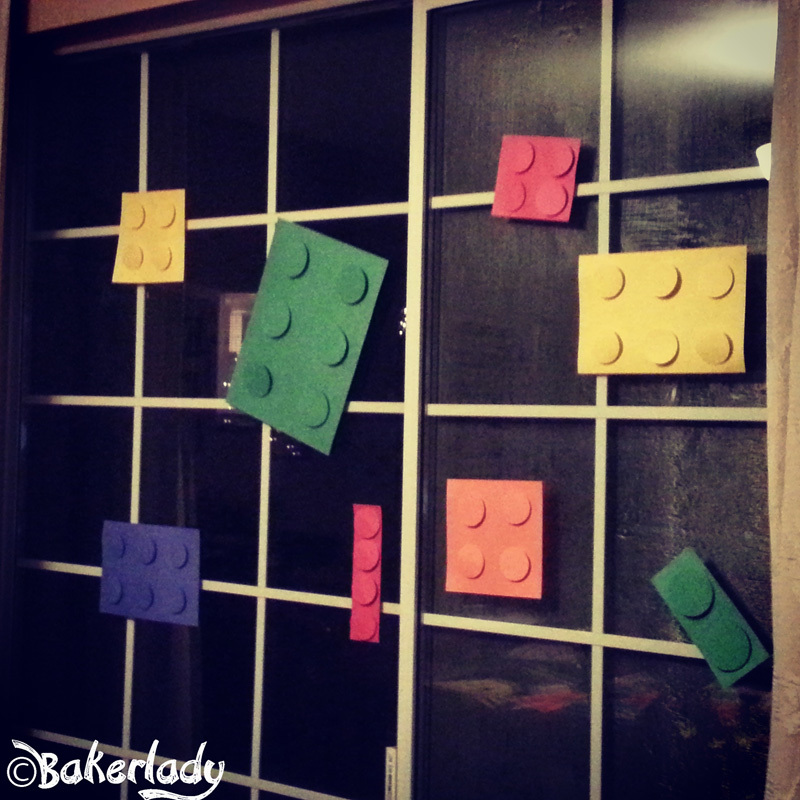 I made Legos for the walls out of construction paper. Used my EK Tools Cirlce Punch for the dots on top. You could also hang these from the ceiling if you wanted. 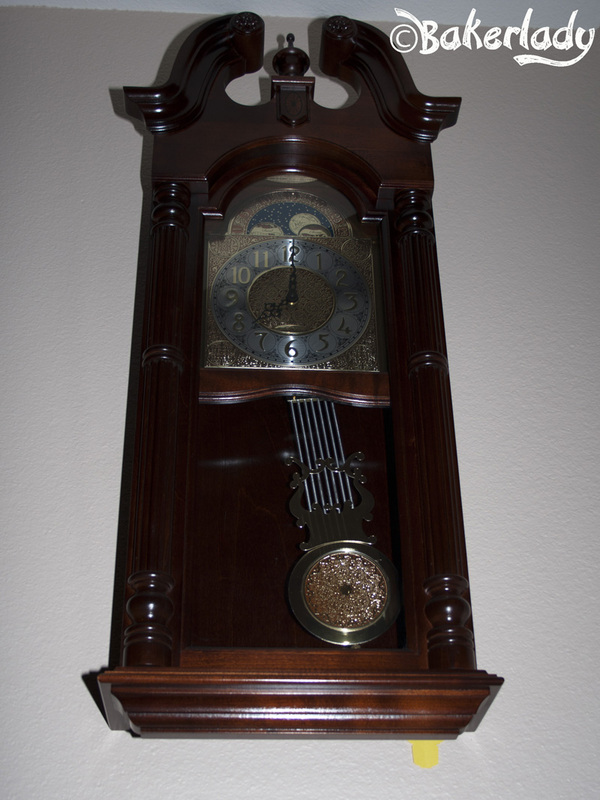 I happen to have several 6′ 2″ and taller family members. So ceiling hangings are generally frowned upon. 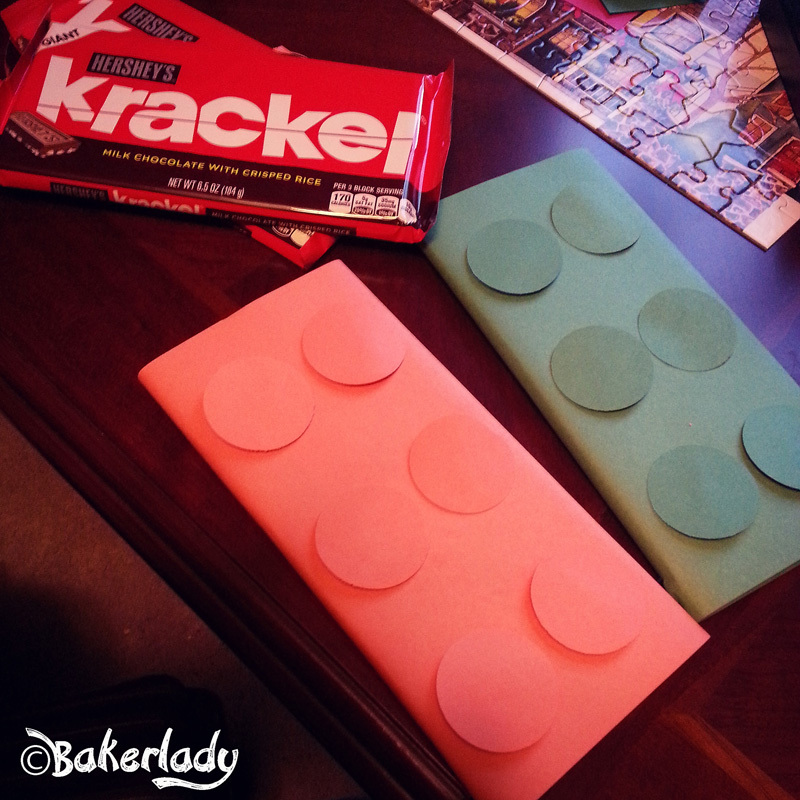 Then for some prizes, wrapped a couple of giant Krackle bars with the same circle punch Lego treatment. Now for the other food items. From the movie, the characters are searching for the Piece of Resistance. 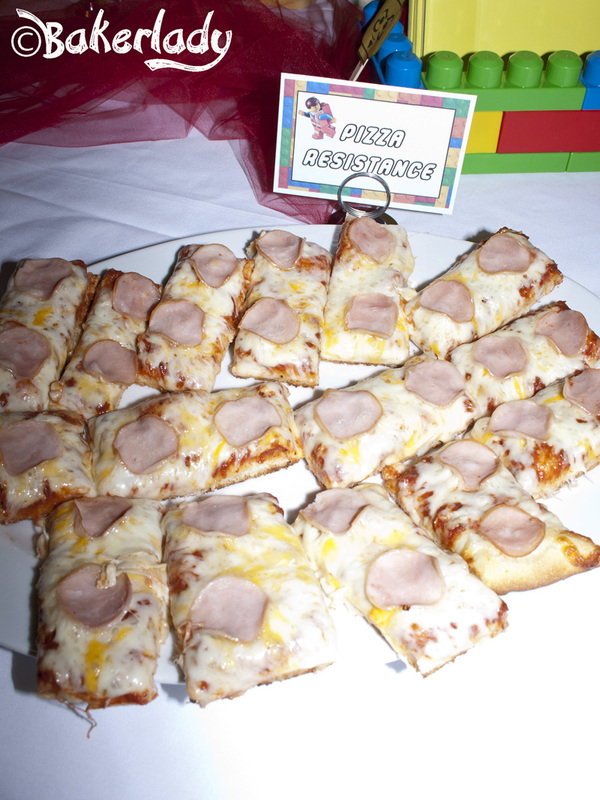 So, I made “Pizza Resistance” by purchasing some cheese pizzas from Papa Murphy’s, then adding small Canadian bacon and pepperoni in straight lines, and cutting to look like Lego bricks. 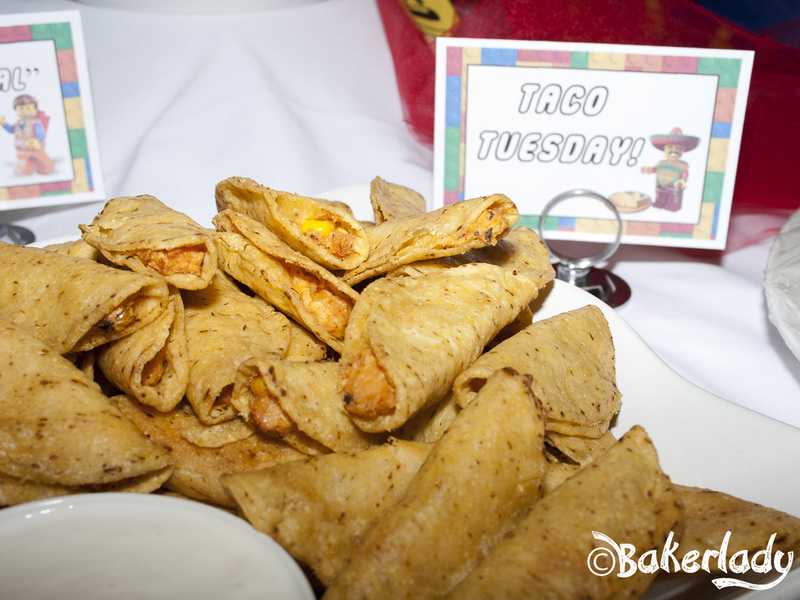 We also (like the movie) featured Taco Tuesday! But without any threat of death and destruction. 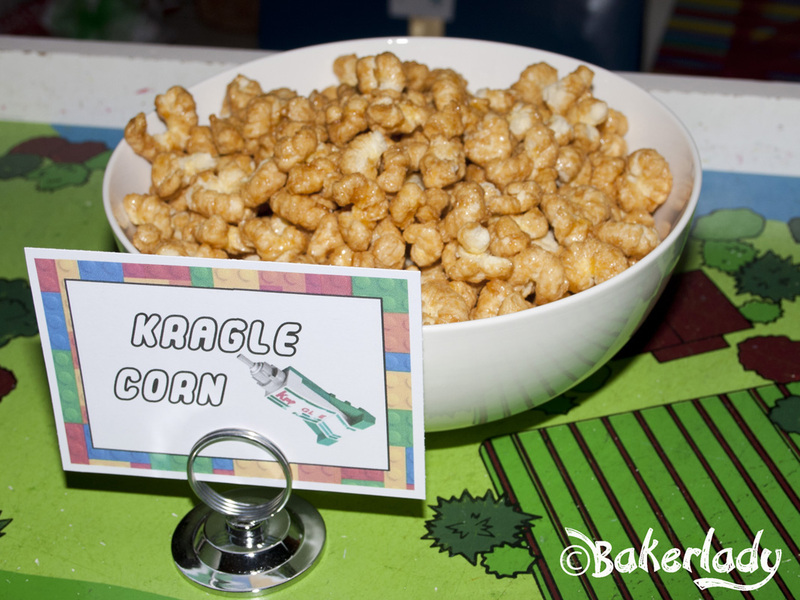 I renamed some delicious salted caramel corn “Kragle Corn” and had it out for snacking. 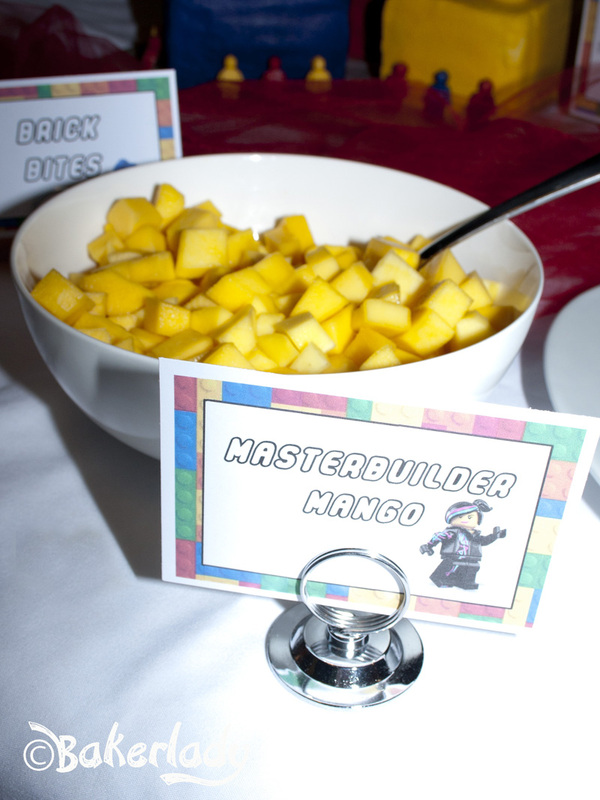 For a little healthier option, I made “The Special” Salad, my Chicken Ceasar Salad and also had “Masterbuilder Mango”. 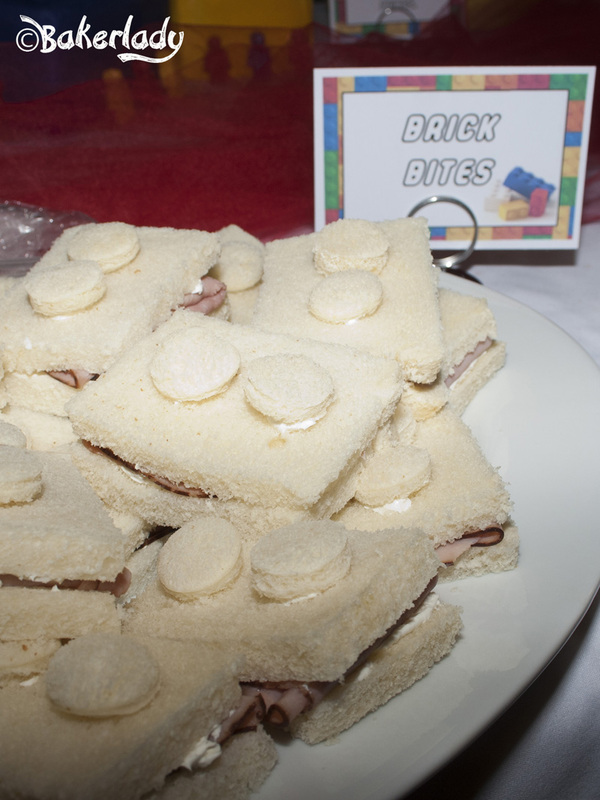 Also on the food table, Brick Bites. Cut sandwiches into rectangles and attach a small circle (which I made using a frosting tip) with cream cheese. Or you could do peanut butter and jelly/honey and attach with peanut butter. 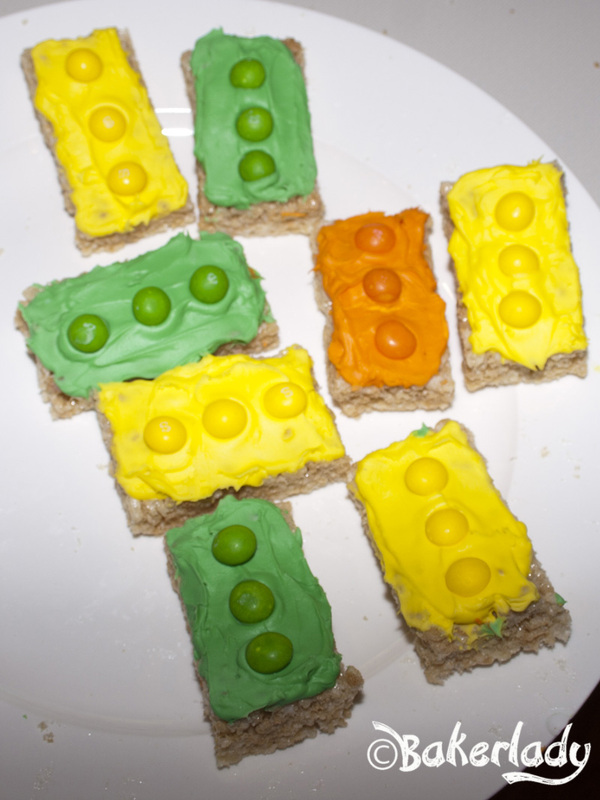 For my sweet nephews and nieces with major food allergy issues, I whipped up these Lego brick rice crispy treats. We also had a punch, complete with yellow cups. 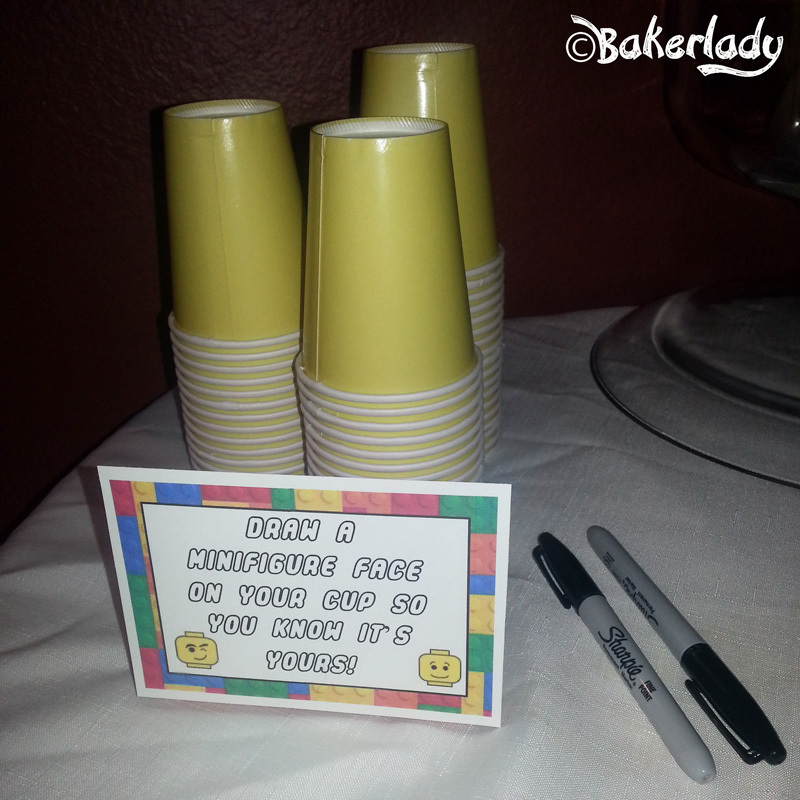 Instead of asking guests to write their names, I had them draw a Lego face to identify their cup. Fun! 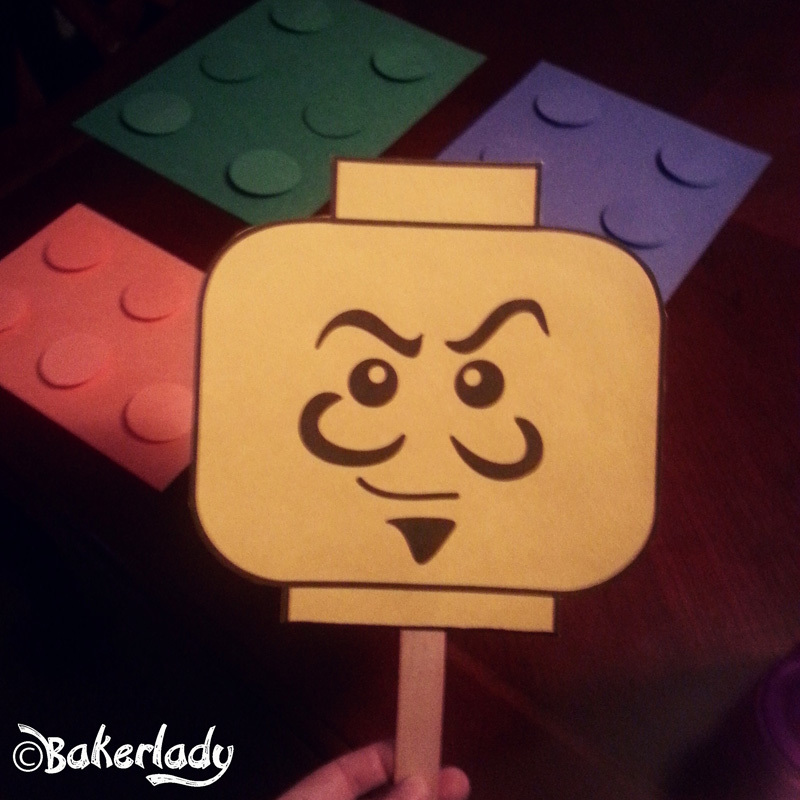 I used some Lego faces printables from Messy Times for a couple different items at the party. I printed the black and white versions on yellow paper and put them on sticks for Lego minifigure masks. Adorable. 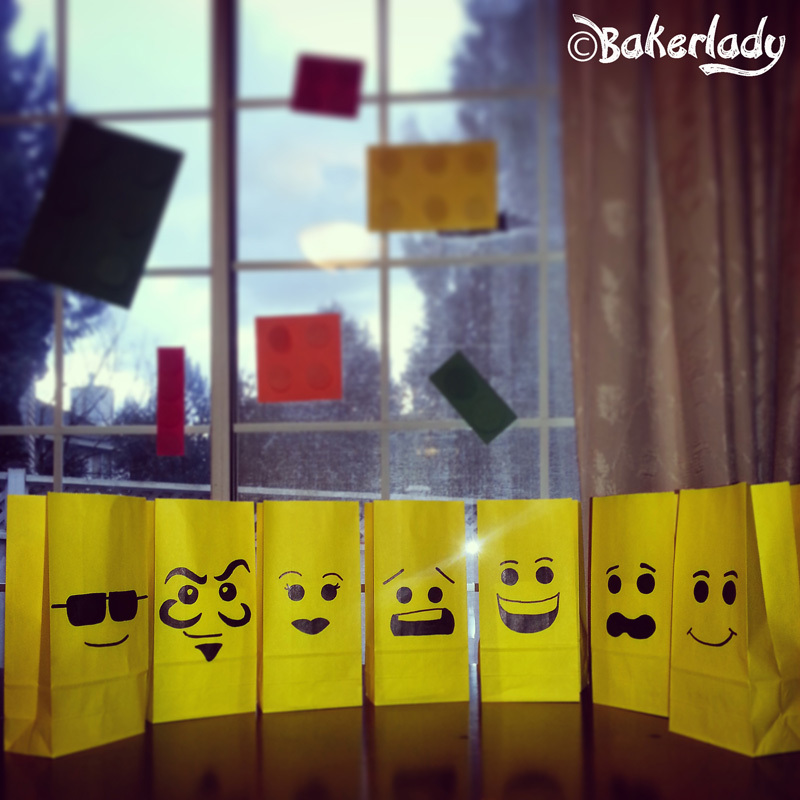 I also used them to hand draw (trace) faces onto the treat bags for guests to take home. I filled the bags with a great little Lego Workbook from One Mama’s Daily Drama as well as Lego shaped crayons and a few pieces of candy. I had a blast getting this party ready for my little guy. 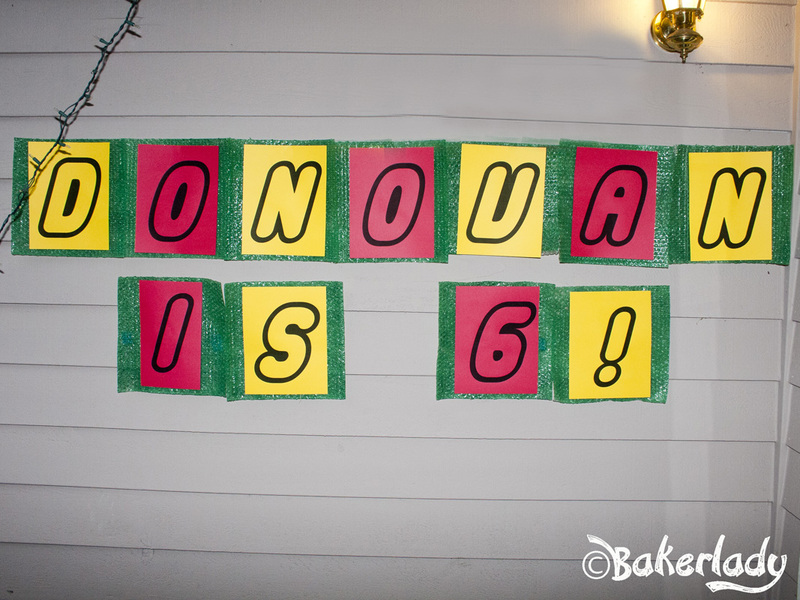 He proclaimed “everything is awesome!”, which is all this momma needed to feel like the party was a success! 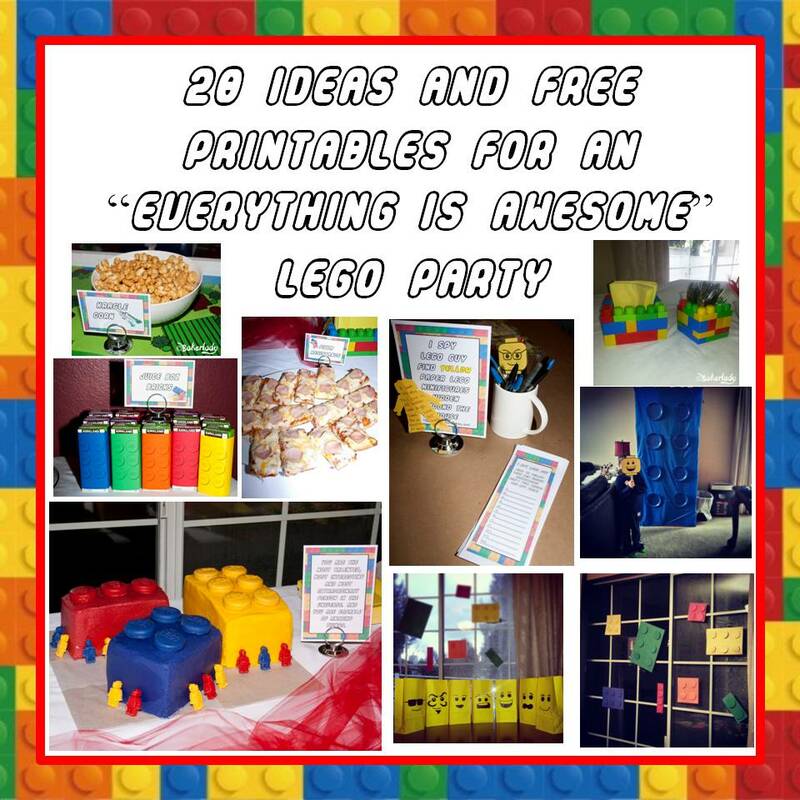 Here’s the Link Round-Up of everything I used at the Everything Is Awesome Lego Party! Please do not post any downloadable items directly. I appreciate all those who willingly share their downloads. Creating great items and then allowing others to use them freely is such a blessing. Please give credit (and keep links/clicks going) where it’s due – back to the original creator. 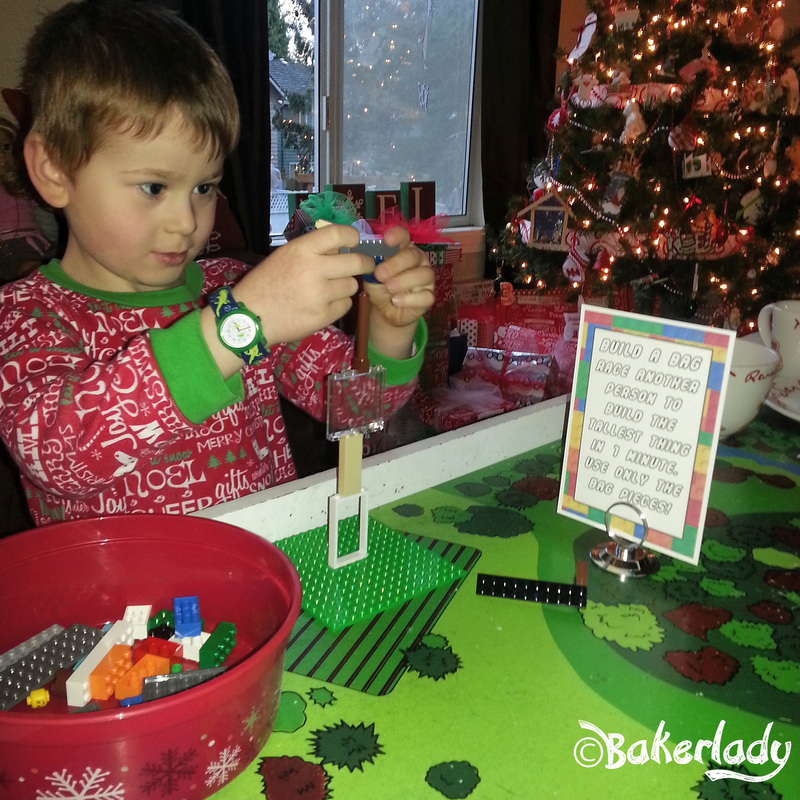 Lego Party Signs including blank food signs, labeled food signs, & game directions/signs. Your party is awesome! 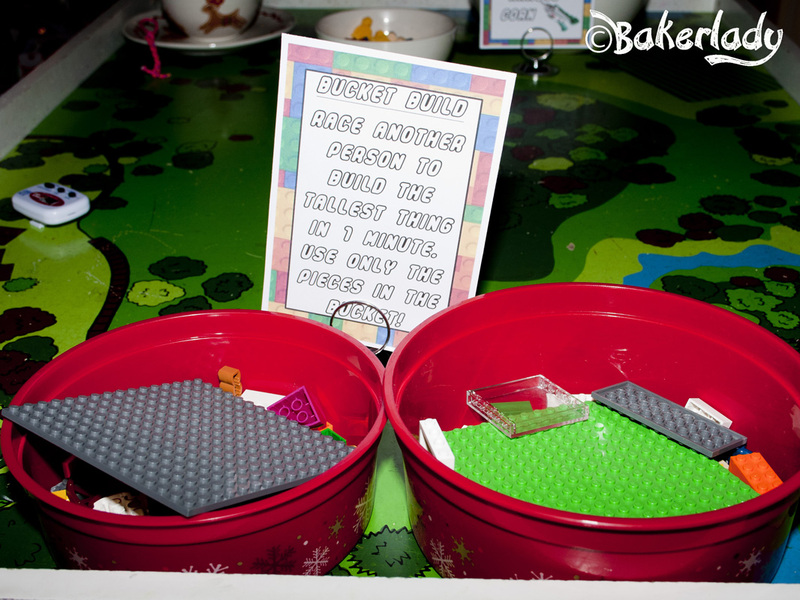 I love all the details – Oreos for the cake, green bubblewrap, the I Spy game. 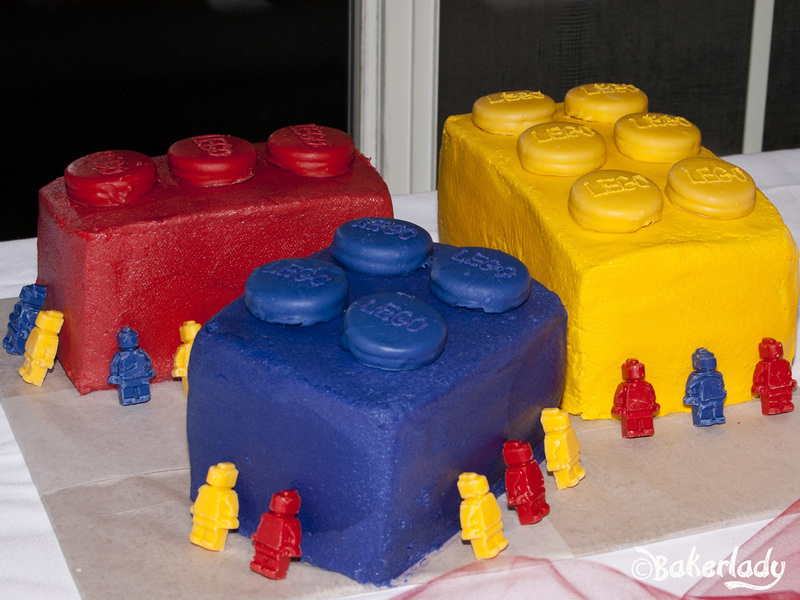 I think we need to have another LEGO party this year. Thank you so much for your wonderful printables. 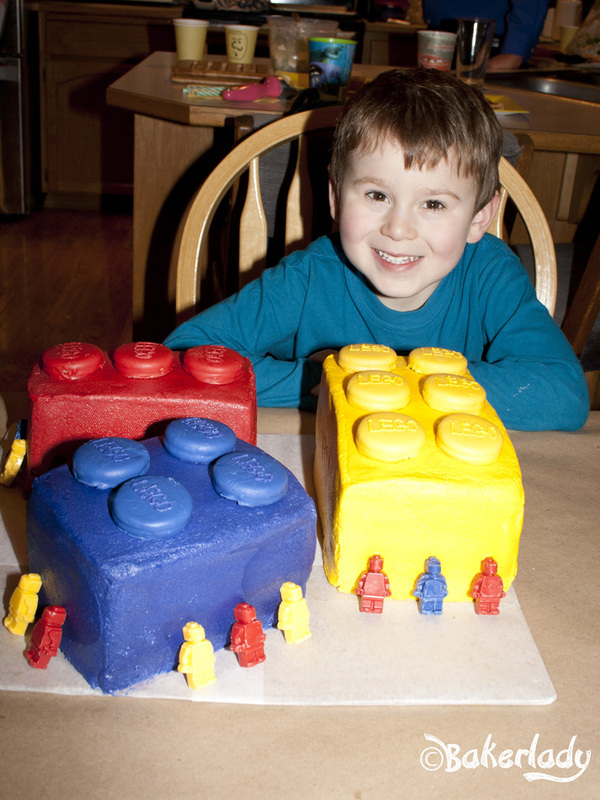 We had my son’s sixth birthday yesterday and I used several of them and your cake advice. It was great- like I had a really crafty friend helping me. 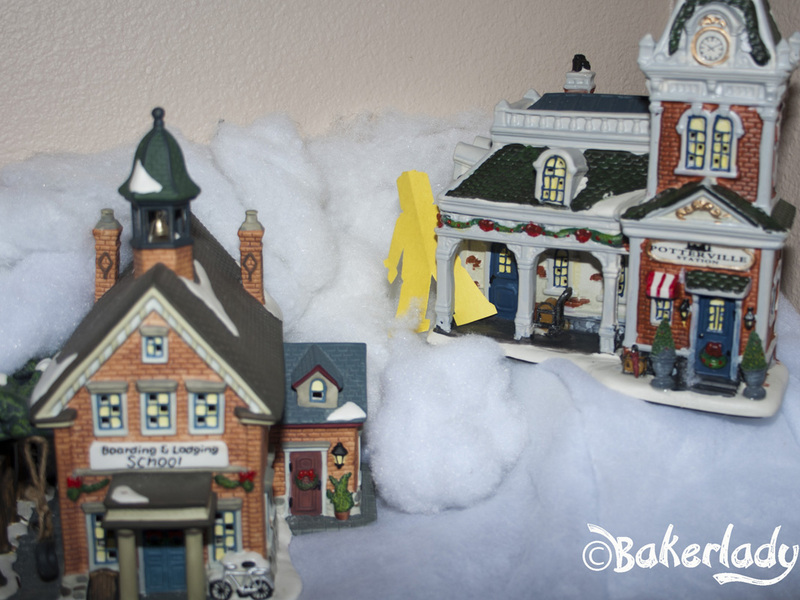 Without the printables I would not have had enough time to do all the cool details. 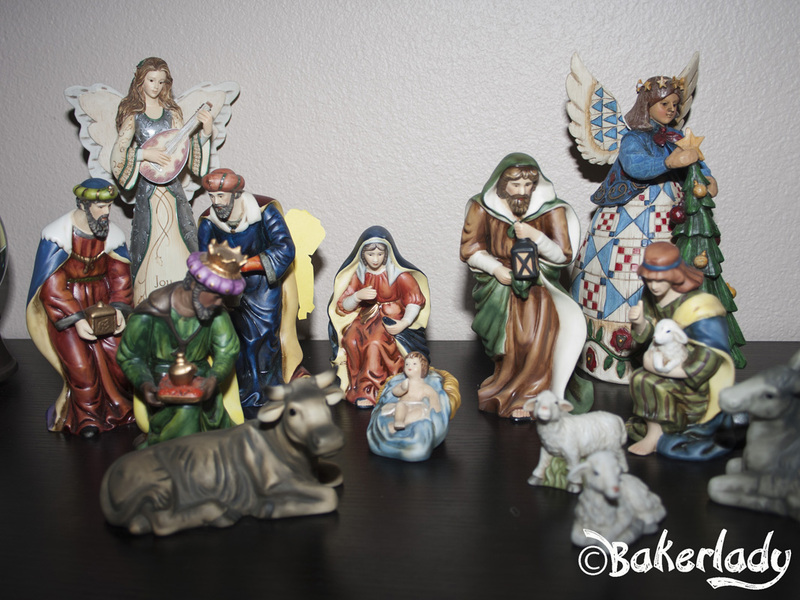 Originally posted on Bakerlady – figured I’d share it over here at Dissonant Symphony as well. Enjoy the awesomeness.